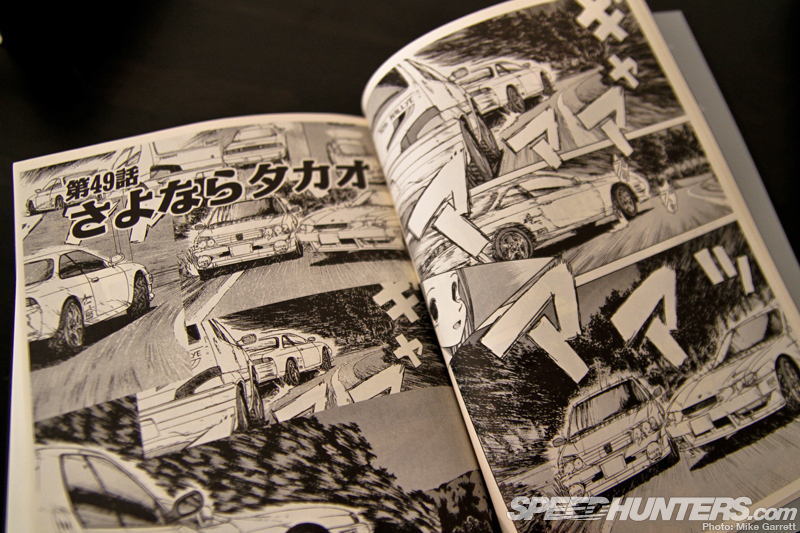 Not long ago I decided I’d start up new series of collectable stories where I profile some of the automotive-themed Japanese comic books that I’ve acquired over the years. Based on the response to my first post, it seems you guys enjoyed this idea, so I’m back now with another manga profile from my book shelf. 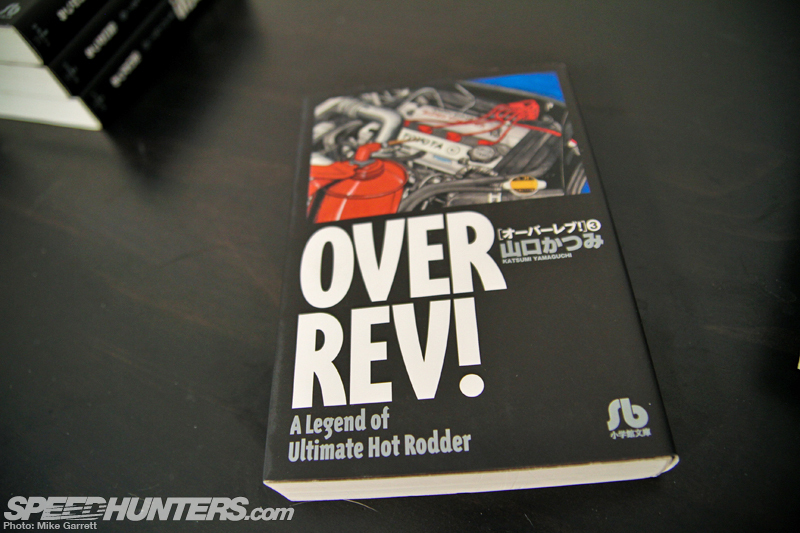 For this edition I decided to choose Over Rev! , a series by Katsumi Yamaguchi that was published from 1997 until 2004. 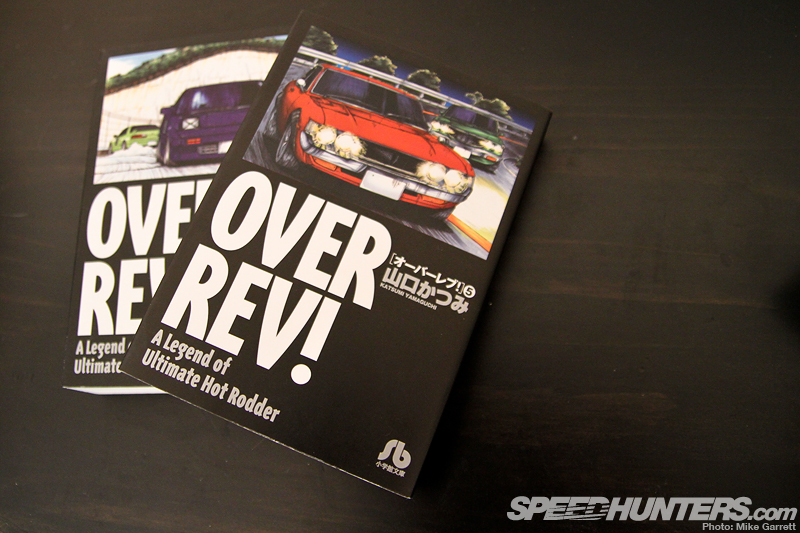 Although lesser known than say Initial D or Wangan Midnight, Over Rev! 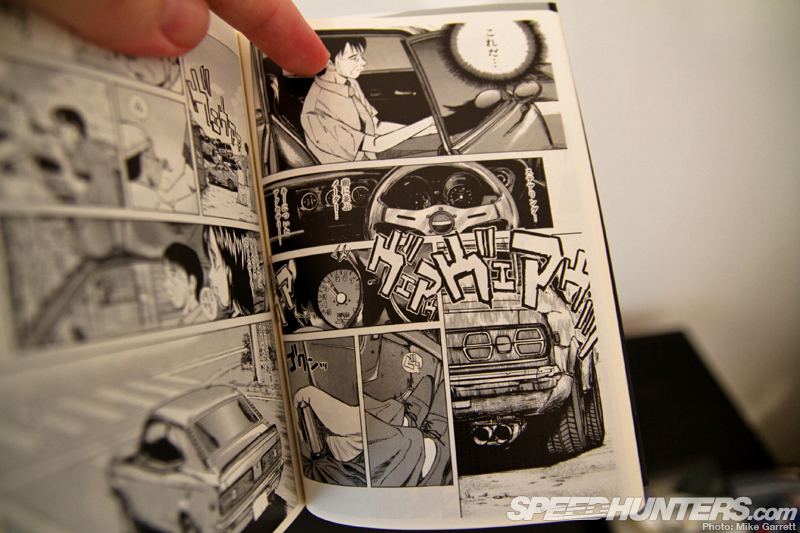 is still one of the more widely read and longer running car-related comics in Japan. 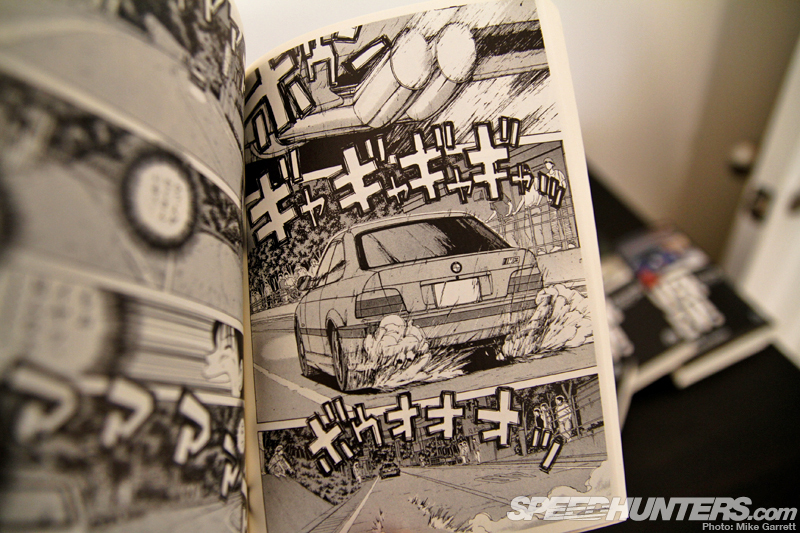 On the surface, the story’s focus on street racing and drifting might sound very similar to Initial D, but one of the major things that sets Over Rev! apart is that many of its characters – including the main one – are female. 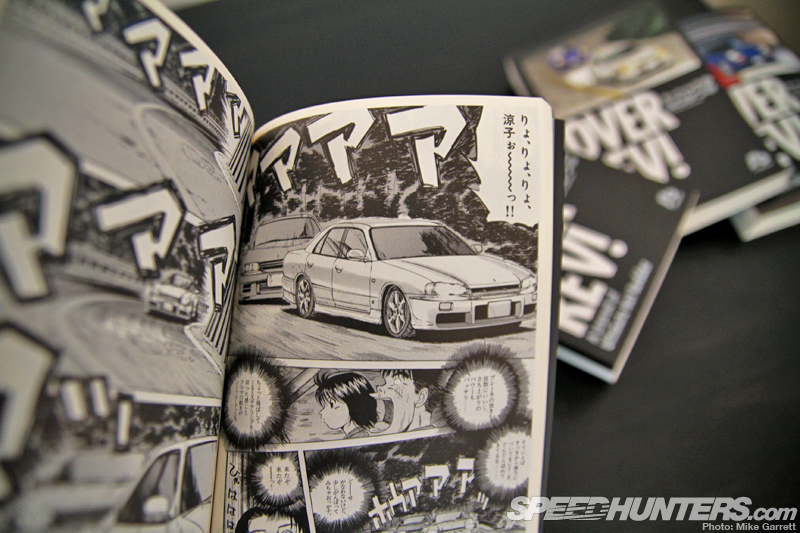 The story begins when a high school student named Ryoko Shino and her friends are hanging out one night in the mountains and encounter an R32 Skyline and an S13 Silvia racing toward them at full speed, before drifting by just meters away. 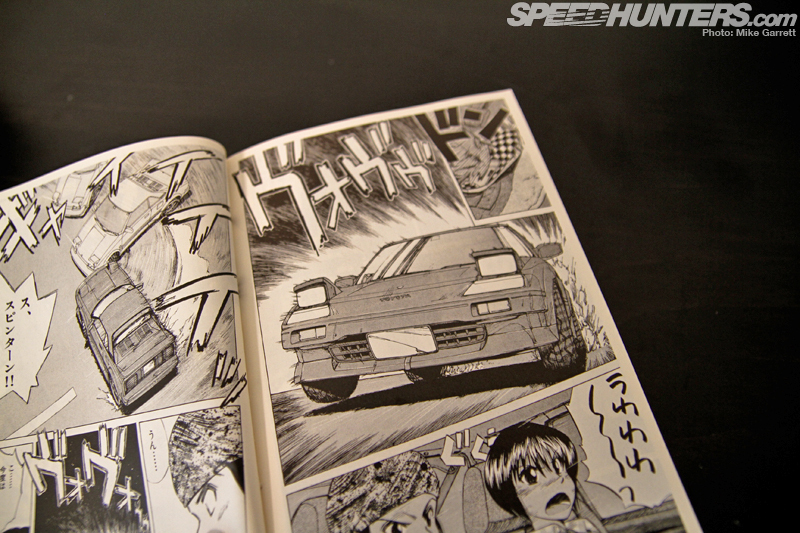 Although Ryoko knows nothing about cars, she’s entranced by what she sees. When she notices that the driver of the S13 is a girl, she’s completely hooked. 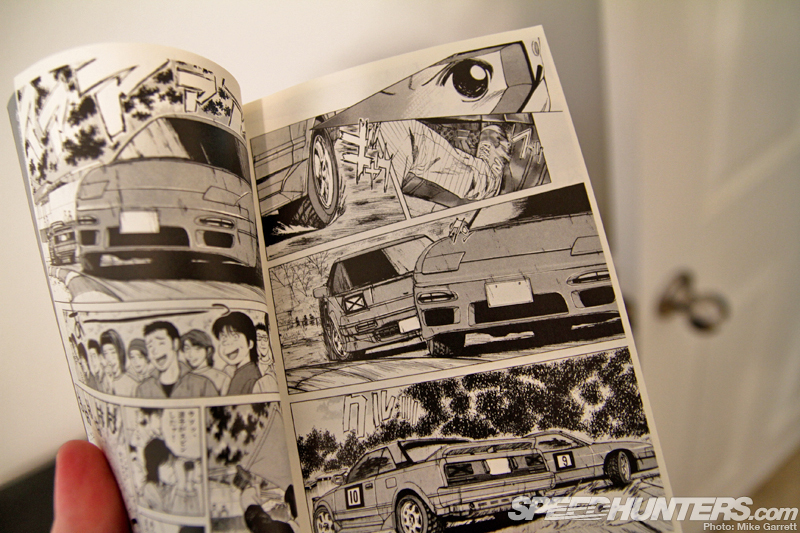 After talking to some classmates who are familiar with the local street racing scene, Ryoko heads out to a late night drift meet and once again encounters the mysterious girl in the S13. She introduces herself to its driver, Sawako, who then invites her to hop in for a quick drift lesson. Even though the lesson ends up with the S13 going over the side of the wharf into the ocean, the girls escape and Sawako shakes off the crash saying that the car can easily be replaced. At this point, Ryoko wants nothing more than to buy a car of her own to start driving with Sawako. 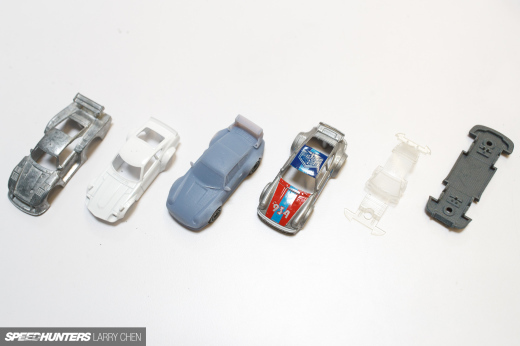 She heads out to a used car dealer and finds a number of cool machines, but all of them are priced well above her modest budget of ¥100,000 (about $1,000). The used car salesman suggests she take her pocket change to a junkyard. Which is exactly what she does, and that’s where she comes cross a beat-up AW11 Toyota MR2 – which because of her cute looks – she is offered for just ¥10,000 ($100). 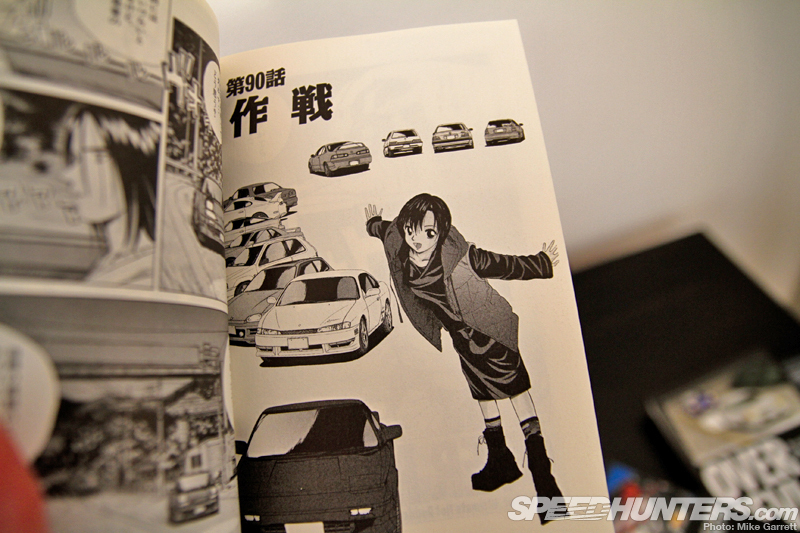 So Ryoko buys the MR2 and her racing journey begins. 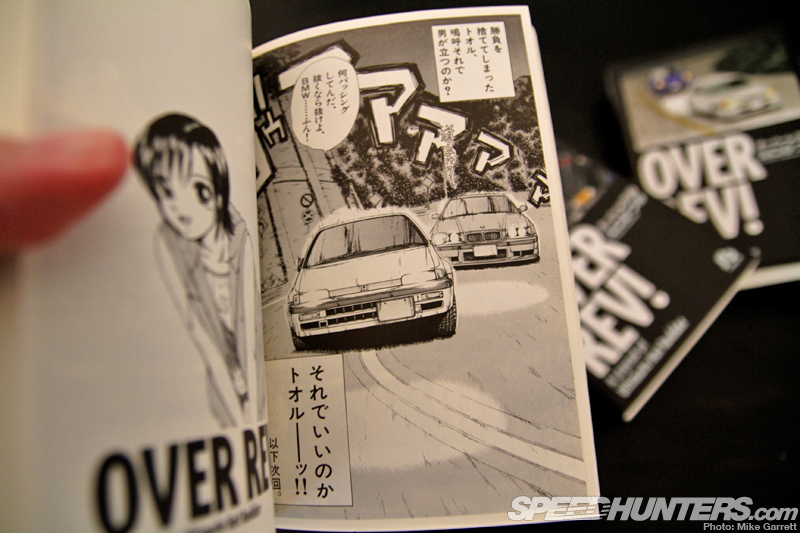 But of course, before she can become a legendary street racer, she has to get a drivers license, which turns out to be quite the adventure in itself. During her test the old man instructor falls alseep and she ends up getting in a race with a delivery truck and drifting the test car along the way. Thanks to the instructor not being awake the whole time, she somehow passes the test and gets her license. 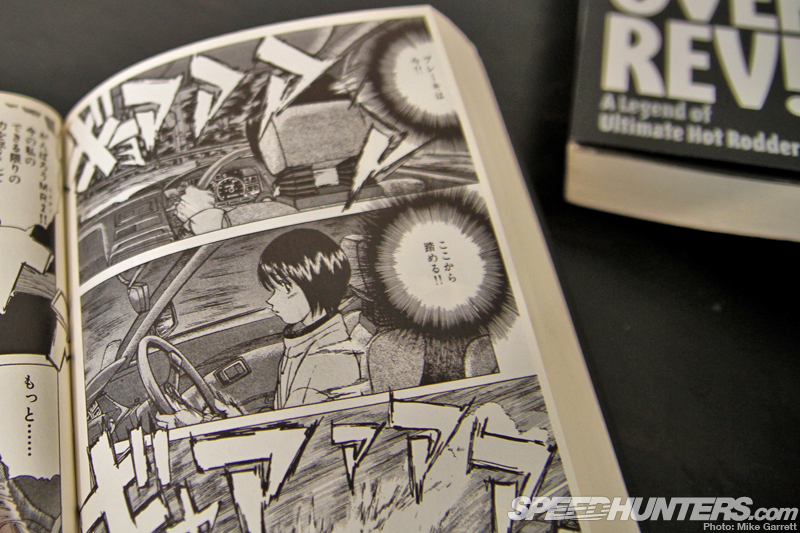 It turns out that the truck driver she encountered during the driving test is a girl named Aika who also happens to be a street racer, and becomes one of the central characters of the story. An EG6 Honda Civic is her weapon of choice. 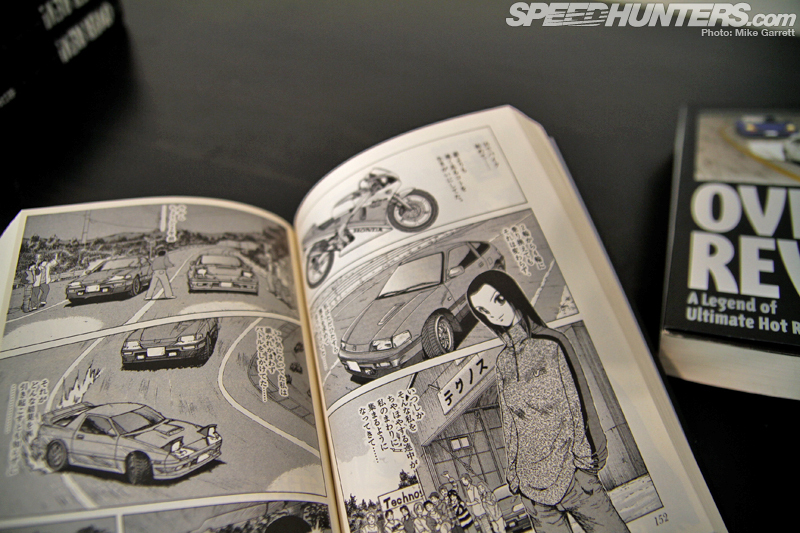 From there, the story continues on to follow Ryoko’s adventures as she breaks further into the world of racing while at the same time dealing with things like relationships, graduating school and finding work. Prior to discovering cars, Ryoko was a competitive track runner but an injury forced her to retire from athletics. 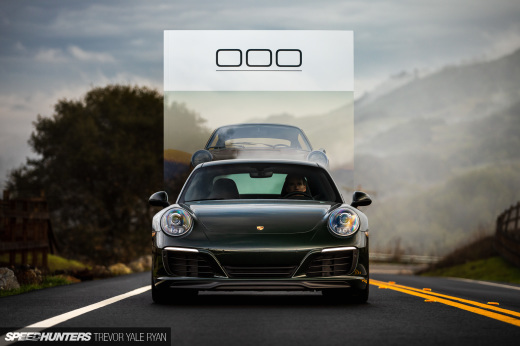 She soon finds racing as an ample replacement, taking up more and more of her life and satisfying her competitive side. 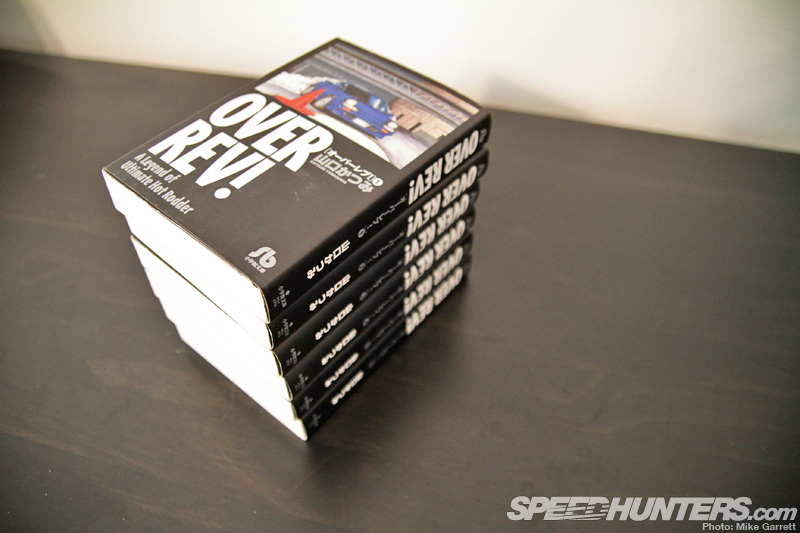 As for the cars featured in Over Rev!, quite a variety of machines are portrayed over the course of the story. 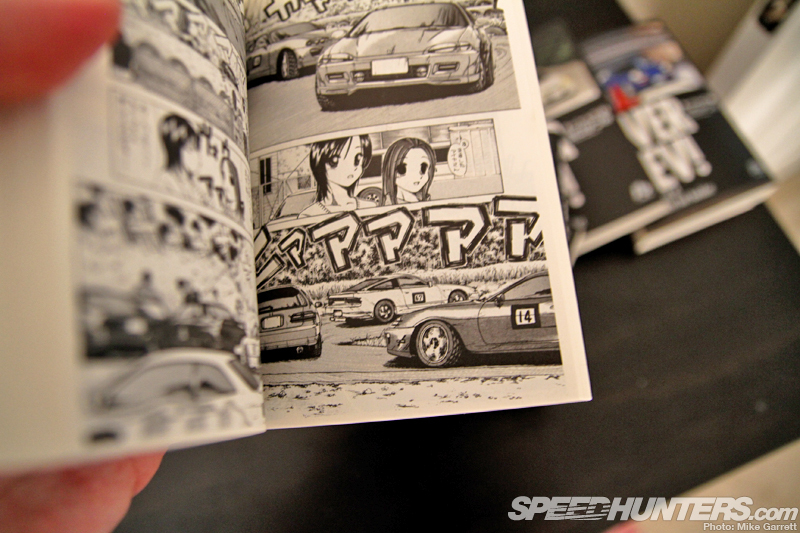 Needless to say, Ryoko’s MR2 is featured prominently. 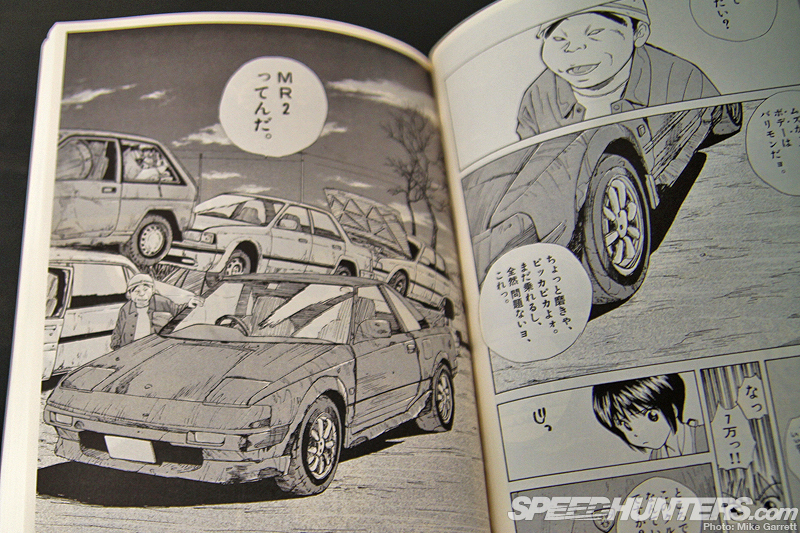 I’m not sure why Yamaguchi chose a relatively obscure car like the AW11 to star in the story, but it’s definitley cool to see some MR2 lovin’. … and of the course, the good old S-chassis of which numerous examples pop up. Keen eyes will also a notice a Z32 in this particular scene as well. Let’s not forget about the Skylines either. 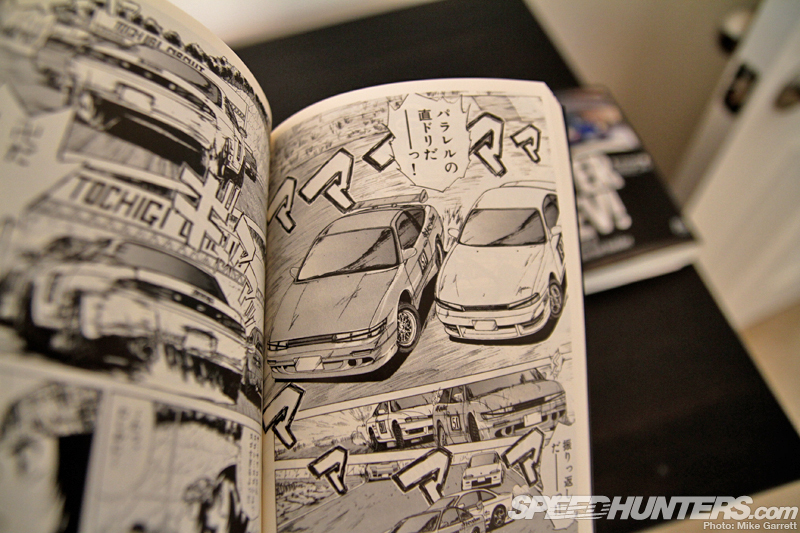 Front-wheel drive Hondas are also featured prominently in the story, including several Civics and even a Honda City at one point. Imported cars make a few appearances too, including a Peugeot 106 Rallye which is seen here going at it with an S14 Silvia. Here we have an E36 BMW M3 as well. 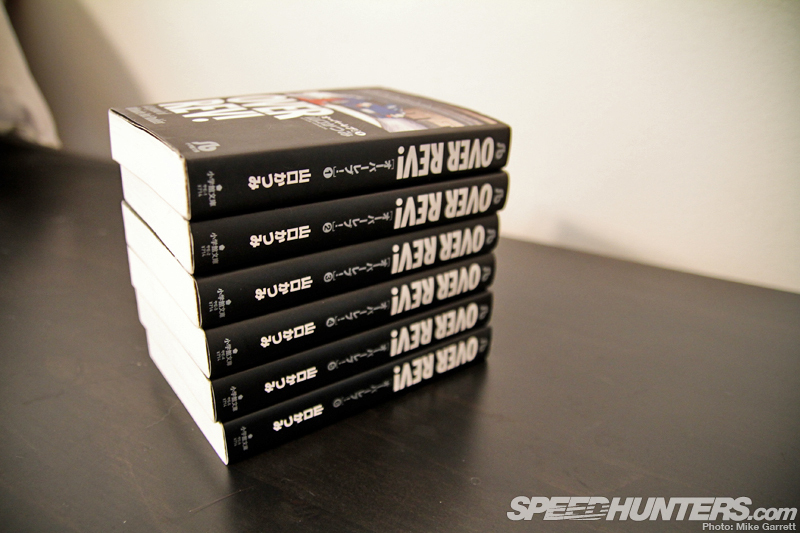 As you can see, the artwork in Over Rev! is very detailed and accurate to real life. 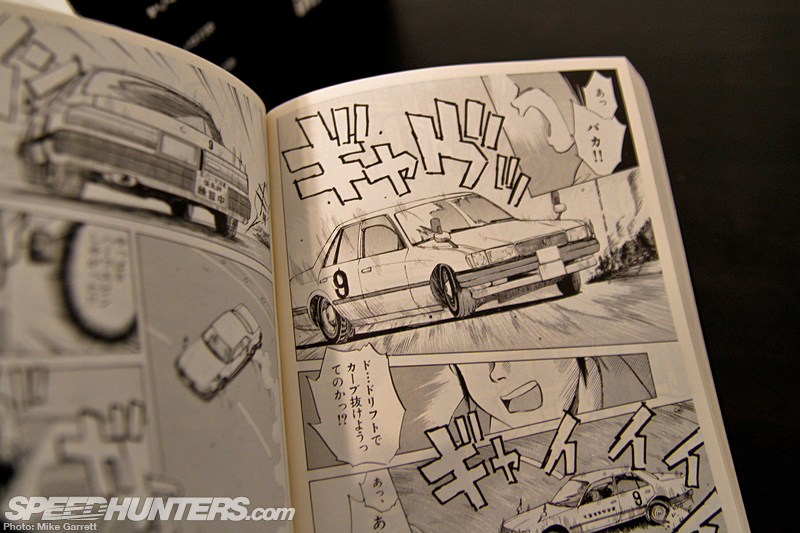 … and a Mazda Savanna RX-3 for the rotary lovers. Another thing I like about Over Rev! 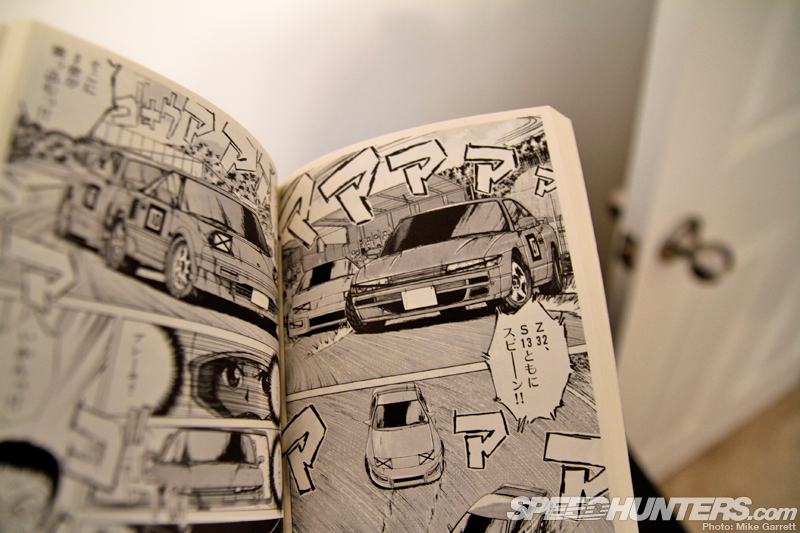 is how a lot of action later in the story actually takes place at sanctioned circuit meetings and drift events, rather than just mountain roads in the middle of the night. 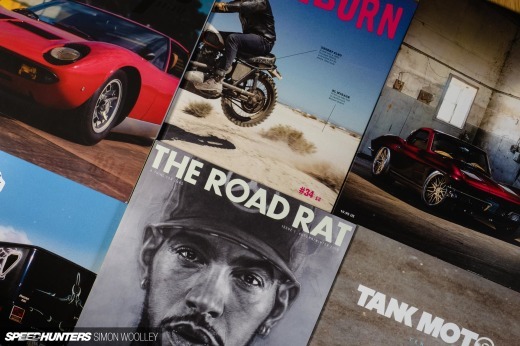 As is the case for almost all of these automotive-centric comics, the accuracy of the technical details is extremely impressive to me – especially coming from a place where Fast and the Furious is about as technical as mainstream automotive entertainment gets. Just something else to chalk up to Japan’s obsession with car culture I guess. 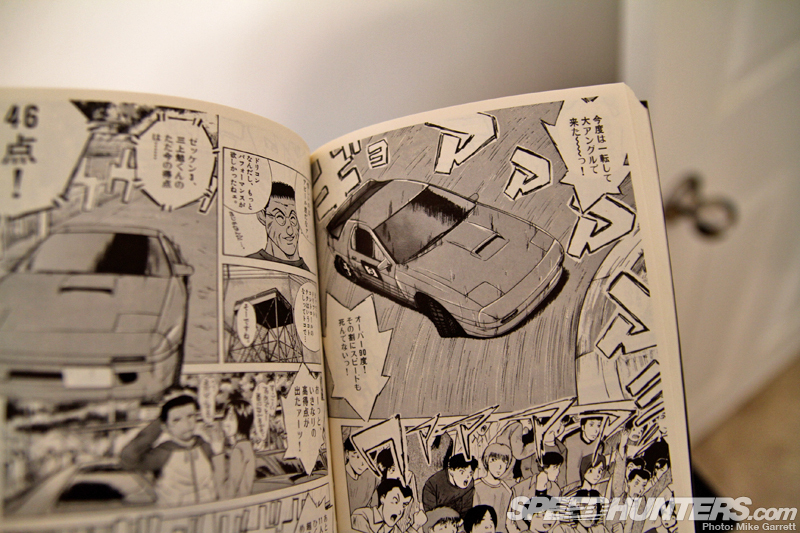 Combine that technical accuracy with a fun and unique storyline and you have the recipe for another one Japan’s great motoring comic books and a worthy addition to any car geek’s bookshelf. 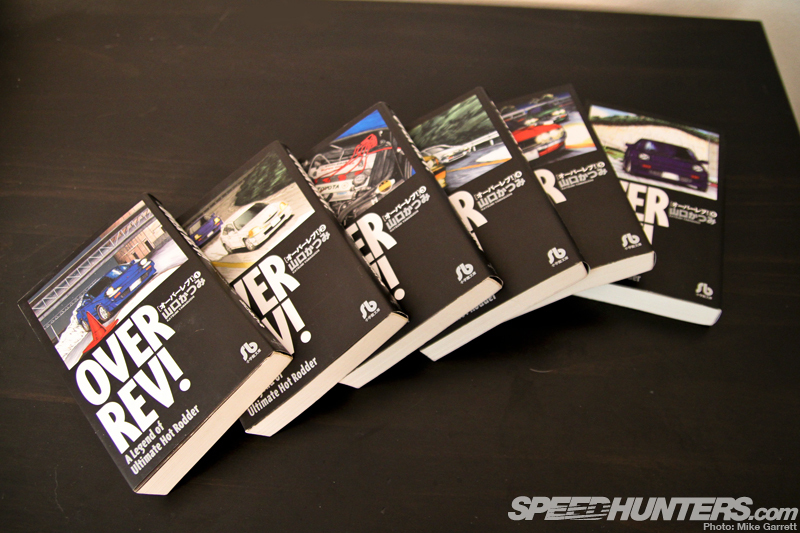 I'm surprised they had a female protagonist along with a first generation MR2 of all things. MangaFox website was updated with few more translated chapters!